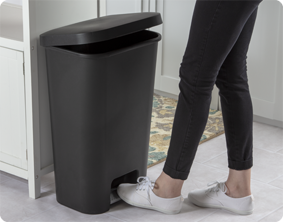 The 11.9 Gallon / 45 Liter StepOn Wastebasket brings a modern aesthetic to a household essential with sleek lines and an attractive easy – to – clean textured finish. The ribbed foot pedal ensures that the hands-free wastebasket open easily with a slight step. Its space efficient shape fits perfectly against a wall or cabinet in the kitchen or workspace. Changing the trash liner is simple with a wide opening and a lid that stays open while removing and replacing the bag. An oversized lid design hides the trash bag and offers a neat, clean look. 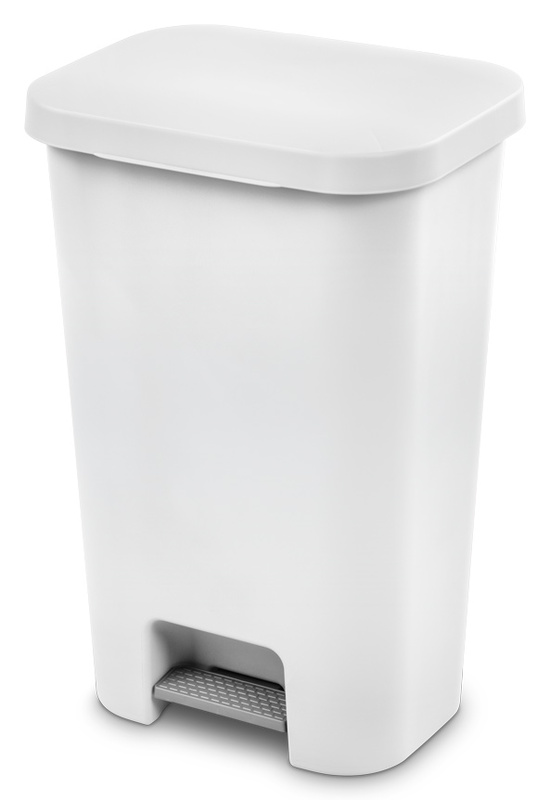 A convenient comfort handle on the back of the lid provides an area to lift and transport the wastebasket when needed. Overall Assembled Size: 16 1/8" x 13 1/4" x 24 1/2"
The 11.9 Gallon / 45 Liter StepOn Wastebasket fits great against a cabinet and provides hands free access for quick pick-ups after a family dinner. 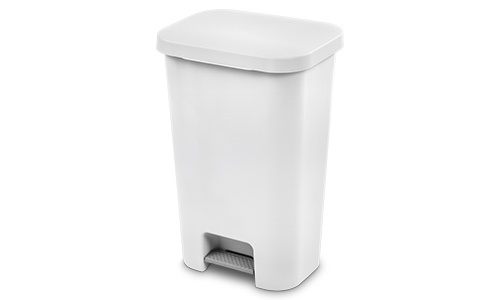 11.9 Gallon StepOn Wastebasket is rated 5.0 out of 5 by 1.